Addis Ababa - 18 people including 15 soldiers were killed in a military helicopter crash in Ethiopia. According to the local news, the remaining three people killed in the accident were ordinary civilians. 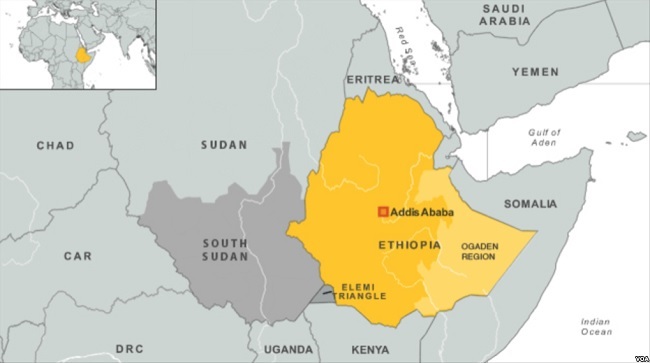 The aircraft crashed on a flight between the eastern city of Dire Dawa and the Ethiopian air force headquarters in Bishoftu, a resort town southeast of the capital Addis Ababa, the agency said. Addisu Arega, a top official in Oromia region where the crash occurred, wrote in a tweet, "People in the Military helicopter are all dead. The cause of crash is being investigated and Our sympathies are with the affected families. According to the Defense Ministry, the flight number of the 808 helicopter was on duty and is crashed at a 20-minute walk from its destination.